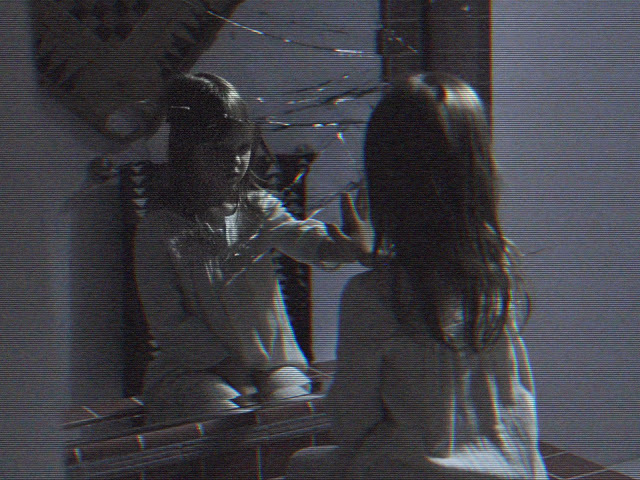 Released in 2007, the original Paranormal Activity, for better or worse, single handedly re-ignited the found footage craze that still exists to this day. While the first movie was a fresh and welcome addition to the horror genre, a parade of sequels (as they do) saw audiences wane and tire with each installment, as each movie just became more of the same. Which is a shame because, despite the repetitiveness of watching a camera in the corner of a room capture spooky goings on, each movie built on a rich mythology regarding the Featherston sisters, Katie and Kristi, and the demonic entity that they are tied to, Toby. A spin-off, The Marked Ones, seemed to turn things around, which brings us to the supposed final chapter of the series, The Ghost Dimension, which brings closure to the story that began eight years ago. Things kick off the way you would expect: a new family living in the house Katie and Kristi grew up in (last seen in Paranormal Activity 3) begins to experience strange supernatural events after finding an old video camera that lets them see the paranormal activity swirling around. As head of the family Mike (Chris J. Murray) begins to investigate the strange goings on, and how they relate to his daughter Leila (Ivy George), he discovers that Toby has her firmly in his sights. 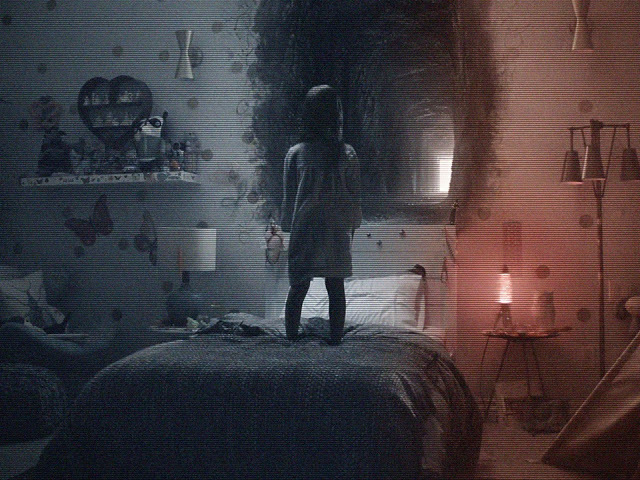 While quite a bit of The Ghost Dimension feels exactly like what we’ve already sat through for five movies now, the need to finally close the book on the narrative proves to be a shot in the arm for the series. Sure, it’s all a little bit too late, but it makes for an enjoyable ride, albeit one that has far too much exposition. It was to be expected, as the series’ backstory always played second fiddle in the other movies, but first time director Gregory Plotkin does a great job, using old VHS tapes of Katie and Kristin to unnerving effect at times, presenting it in such a way that you don’t feel like all the answers we were expecting are been stuffed down your throat. The introduction of the spirit camera is also a nice little detail (as well as presenting an organic reason to have it rolling at all times), allowing a slight shake up in proceedings as it brings the activity out into the open, and the way the movie switches between it and a series of regular cameras set up around the house is a very nice and leads to some cleverly blocked out scenes. Unfortunately, all this doesn’t stop the movie from falling back on the jump scare route, with the first and second act really just a string of scenes that really have no rhyme or reason in how they fit into the movie as a whole. It’s with the finale that The Ghost Dimension goes all out, packing in more action that all the movie’s combined. It’s an approach that really should have been tackled a long time ago, but as much as The Ghost Dimension heralds it self as the end, you get the feeling it isn’t really over. Fans of the series will finally get some closure and enjoy what The Ghost Dimension has to offer, it buckles under the pressure of having to provide too many answer after the other movies dragged their heels for far too long.